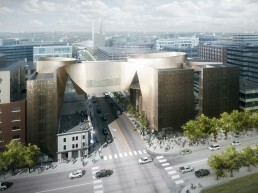 National Music Center Concept | Pilchner Schoustal International Inc. 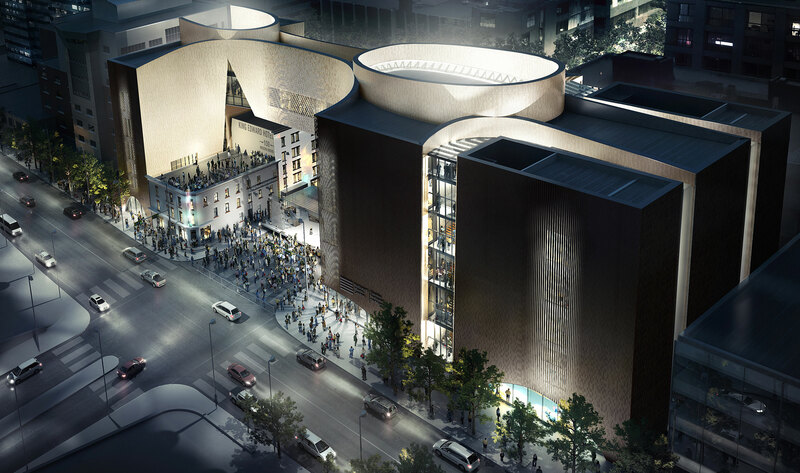 The National Music Centre is a prestigious new museum and media facility. The Striking building was designed by Allied Works Architecture. 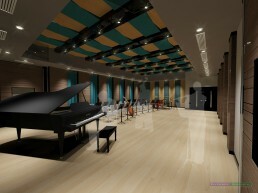 Our role in the project was to design the recording studio facilities and integrate the recording systems. 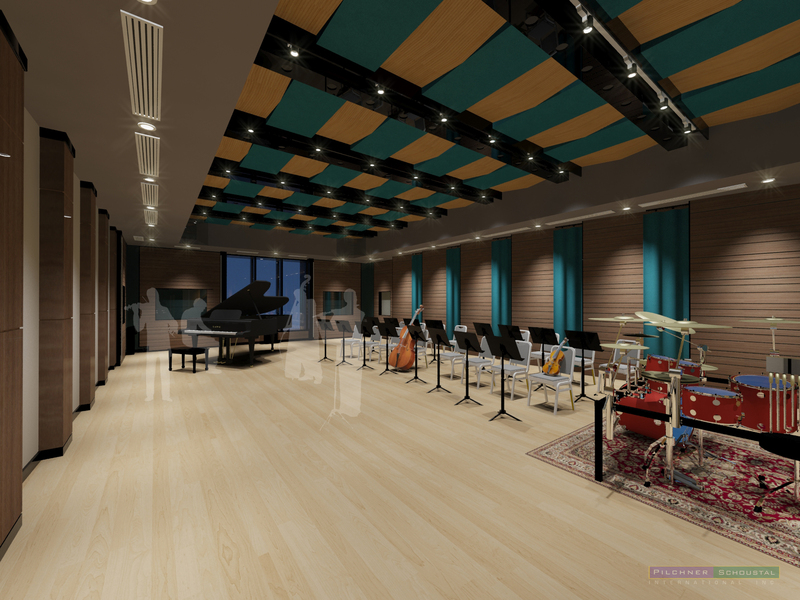 The studios will be used by their “Artist in Residence” program which will give access to their amazing instrument collection for use in the new studios. The facilities include two large control rooms, one with a Trident A range console and the other with the Original Olympic studios console. 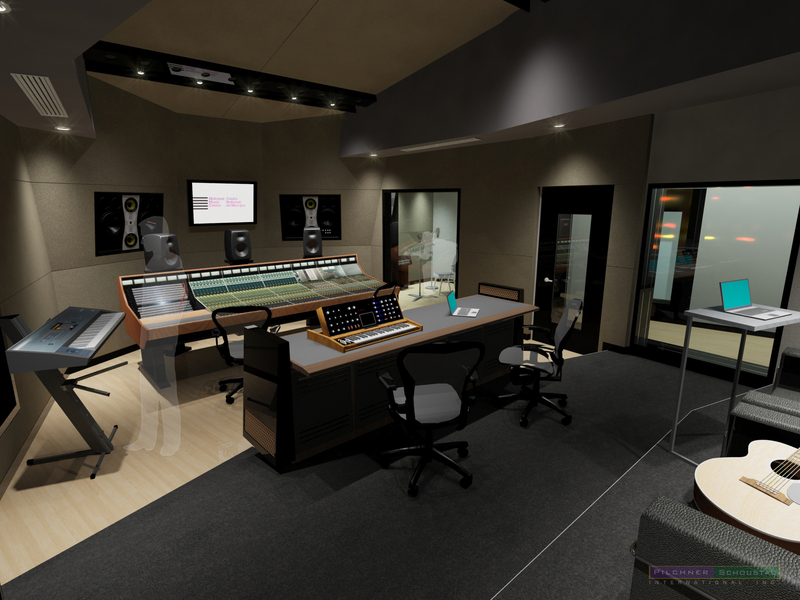 These control rooms have access to the large studio proper, isolation booths, the acoustic lab, the electronic lab, and the King Eddy hotel below. 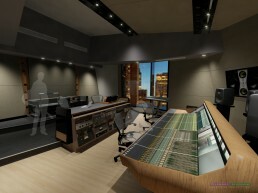 Also on the main floor beside the King Eddy will be the original Rolling Stones mobile studio. 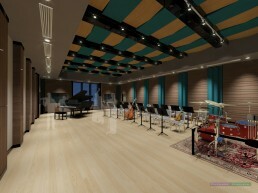 This studio will also be tied to the entire facility. Effort has been made to provide a design response that is contextual to the building, provide a conducive creative environment for the artist, an offer a fully flexible system integration.